Get activity alerts so you know if anything happens while your away. Nest Aware algorithms can tell a person from a thing and can even recognize the sound of a person talking or a dog barking. Create Activity Zones around important areas, like cribs or windows, and get special alerts when motion or a person is detected there. 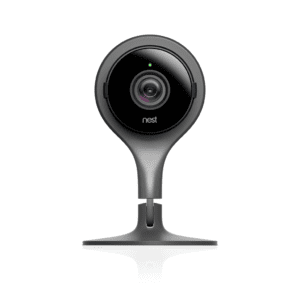 Or if your Nest Cam detects a door, it can automatically create an Activity Zone for you. Turn any part of your video history into a clip or time-lapse you can share. Send police video of suspicious activity. Or share cute clips of your baby or pet with friends and family.